If You, Lord, kept a record of sins, who could stand? But with You there is forgiveness. . .
My husband and I were trying to find the right place. The jazz concert had been moved to a different venue on campus, so it wasn’t happening here! We walked over to the information desk where another gentleman was having the same problem. The student worker had heard that the concert had been moved to the activities center and showed us a map of the campus layout. The other man scanned the map for a minute and said, “Oh yes, my son attends school there at the academy.” Trying to help, I said, “The building you are looking for is in front of that one.” He disagreed and got angry, way-over-the-top angry! I flippantly said, as he walked away, “Okay, have it your way!” Wow, that came out of the blue! I felt bad for my comment even though he had been so rude. When we arrived, the concert hall was dark, since we were a few minutes late to the performance. I wondered if I would see my “friend” there, and I asked myself if I was willing to apologize. I looked around discreetly and decided he wasn’t in the room. Phew! This was a wonderful ending to a rocky beginning of an evening. We each left the concert hall light-hearted! I thought, Why does forgiveness feel so good? Because it has restorative power! Like glue, it repairs the cracks in my rebellious heart. Forgiveness creates peace and wholeness in me again! Father, thank you that with You, there is forgiveness! 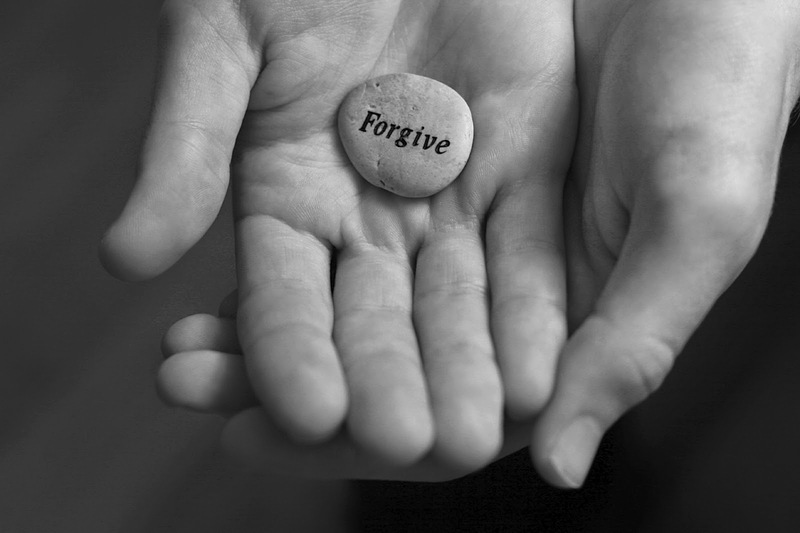 When I think of Jesus’ suffering on the cross to buy my pardon, how can I not forgive someone else!